Lend Lease Group has topped the HIA Cordell Construction 100 list of the biggest contractors, winning more work last year than any other contractor, as multi-unit residential work showed some signs of offsetting a mining-related showdown. Lend Lease, which brought its building and engineering business Abi Group and Baulderstone back under the Lend Lease brand last year, won $4.95 billion in contracts. The total $38.4 billion contracts won by the largest 100 companies marked a jump from the $35 billion since 2013. However, this was still below the figure of $70 billion awarded in the 2011-12 year, when the industry was feasting on mining-related construction work and some community related work from the federal government’s fiscal stimulus spending. 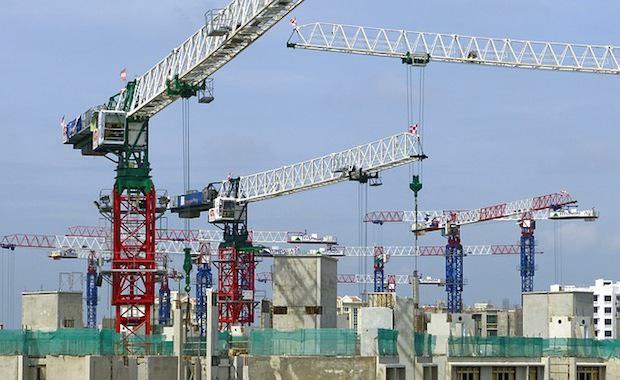 The growing importance of residential construction work was apparent this year, with the volume of multi-unit building work rising to $7.97 billion from June 2013, compared with $6.2 billion in 2012. This year, the number of contractors in the Construction 100 list doing residential work rose from 52 to 56. Among the top 20 companies in the list, those doing the lion’s share of the work, the number doing residential construction jumped from just seven in 2013 to thirteen. Harry Triguboff’s Meriton Apartments was the top-ranking multi-unit residential builder, boosting its project value 40 per cent from a year earlier to $705 million. It displaced previous leader Parkview Group, which ranked second with $558 million of projects. After commercial construction, civil engineering was the second-largest category, with 21.5 per cent of all work.